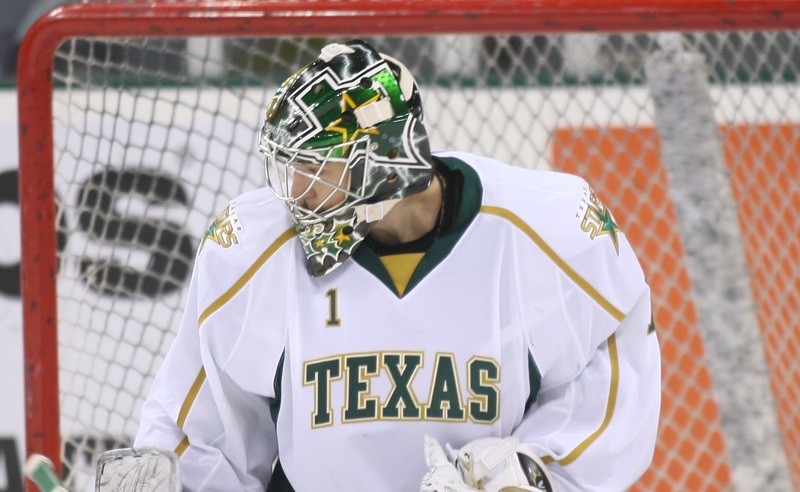 Texas opened their preseason 3-in-3 schedule with a shutout loss to the San Antonio Rampage. The Rampage, now affiliated with the Florida Panthers, took it to the Stars early in the first and didn't let up throughout the game. San Antonio opened the scoring just 78 seconds into the match with a nifty pass from Anthony Luciani behind the net finding Eric Selleck in the slot for the 1-0 lead. THe goal came on the first shot of the game for either team. Bracken Kearns netted another for the Rampage at the 7:42 mark with San Antonio winning an offensive zone faceoff and scoring shortly thereafter. Oberg and Luciani picked up assists on the play. The first period scoring ended with Joe Devin potting San Antonio's third at 11:23. San Antonio scored on three of their first five shots. "I think we were a little sloppy defensively," said Coach Pyle after the game. "We've got some turnover and some young guys who are getting used to a different tempo and a different league." From that point on, Texas played a much more responsible defensive game. "I thought we battled well back in the second. I think we played OK in the third," said Pyle. Tyler Beskorowany finished the night with 25 saves on 29 shots, garnering 23 saves on 24 shots after the first 3 goals allowed. The thing to keep in mind is that it is the preseason. Many of the players in the lineup this evening will not be on the final roster and will play the majority of the year in the CHL or ECHL. Training camp and preseason are places where guys are put into tough positions that they may or may not excel at. "In the end, it's a starting point. Bottom line, we played pretty hard but didn't have the poise we needed at certain times." Jordie Benn wore the "C" tonight, and Dan Spang and Luke Gazdic wore "A"s.
In case you hadn't noticed, Texas played four forwards on the power play. Said Pyle: "I thought Lukacevic was playing really well, so I wanted to reward him [with some power play time]." It's time once again for hockey in Cedar Park! Jeff Pyle and the Texas Stars hit the ice for the first time tonight in preseason action against the San Antonio Rampage. Since this is the preseason, GM Scott White and Pyle are using these games to evaluate tryout players for potential standard player contracts or callups later in the year. Some players you will recognize may play, such as Beskorowany, Dillon, Fraser, etc., but many will be players on tryout contracts to Texas. Many of those will go to Allen or Idaho once more players are sent down to Texas from Dallas. The lucky ones will get to come back at some point during the season if there are injuries or call-ups. Daniel Koger. The tryout players for SA are in the same situation of being depth guys for later. While he may not play, definitely the biggest change on the ice for a Stars versus Rampage match-up is Greg Rallo. Rallo, who was the bane of the Rampage's existence for the past two season, is now on their side. He told Dan Weiss that he's expecting a mix of cheers and boos when he returns to the CPC this season. Is There Room For Tryouts on Stars Opening Roster? As the Stars took the ice on Tuesday, most of the players in that first practice sent the gathered crowd to scour their roster sheets to figure out names. That opening day, Texas had fifteen guys on tryouts and many of them are expected to play in this weekend's exhibition games. However, as we've previously discussed in this space, there is practically no space for tryout players on this year's opening roster with all of the players coming down from Dallas. The question then becomes what is the Texas front office and coaching staff looking for in these tryouts and what are the prospects of them earning time at the AHL level. Texas Stars general manager Scott White is the one with that ultimate decision of who to sign and who to cut from the training camp tryout roster. "Our bread and butter is our defensive zone structure. We want to see how guys adapt to the play in game situations," said White on Tuesday. "If guys aren't smart enough to play it, that makes the decision." When pressed on how many tryout players are likely to make the roster, White admitted that the chances were slim for an opening day slot for many of the skaters. "Most of the time there's three or four guys who make an impression here. Now, do they make the opening roster? Maybe not. But those are the guys we call up during the course of the season that we know about and we've learned the character of the player and what they do well. Three or four guys last year on tryouts who were let go at the beginning of our camp found their way back." One of those guys, for example, was Kael Mouillierat, who scored a few points in the preseason with Texas but spent most of the season in Idaho. However, he was called up in the regular season as an injury replacement precisely because of his strong play in the preseason. For tryout players now, that is the goal: do enough to get on the radar later in the season when injuries in Dallas or Texas force White's hand to acquire some more bodies. Coaches also have a say in that decision and Pyle is looking for much the same as his GM. "[Tryout players] have to come in here and do the little things well. They're not going to come in here and be on our top lines or power play," said Pyle. "They've got to be able to get pucks in and get pucks out, read situations and defend." "We all know they can skate and shoot, but can they think the game? That's a big thing." Texas received seven players assigned from Dallas yesterday who were all in camp this morning. Those players are forwards Matt Fraser, Ryan Garbutt and Luke Gazdic; defensemen Jordie Benn and Brenden Dillon; and goalie Tyler Beskorowany. Nine probable Texas Stars remain with the big club including forwards Scott Glennie, Travis Morin, Ray Sawada, Colton Sceviour, Tomas Vincour and Francis Wathier; defensemen Maxime Fortunus and Philip Larsen; and goalie Richard Bachman. Dallas's final preseason game is Saturday with roster moves expected to be finalized by Sunday. 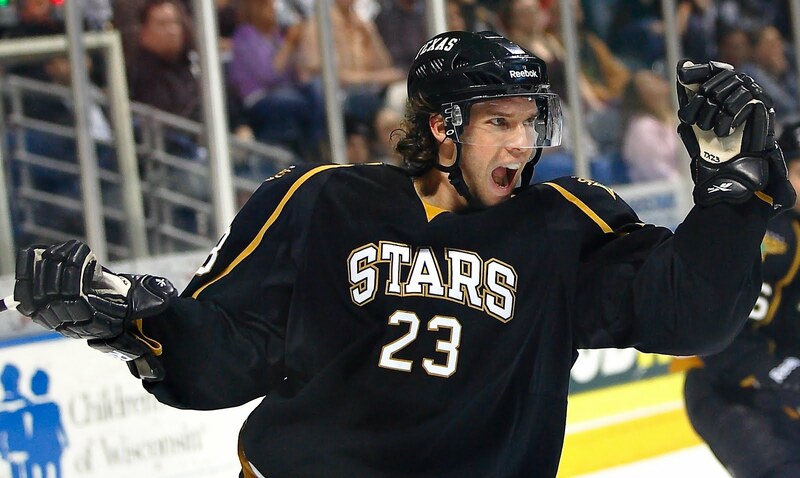 Beginning his third year in Cedar Park, Brad Lukowich is the epitome of veteran leadership for the young Texas Stars. The captain began his career with the Dallas Stars organization with his first NHL game in 1997 and has come back to provide mentorship and stability to a young corps of prospects. Like any good captain, Lukowich arrived a little early at camp "to get [Coach Pyle's] terminology and talk to the other guys and tell them what it's all about." However, in addition to his aid on the ice, Lukowich has gained some notoriety for his off-ice charitable efforts, especially those surrounding the Central Texas wildfires this summer. The defenseman, who is the 'old man' on the roster at the age of 35, lives with his family in Crystal Falls in Cedar Park and was ready to evacuate when news came of the fire on Bagdad Road. "We could hear the police officers going around and evacuating the area," said Lukowich. "We packed up and had all of our stuff in the back of the vehicles, just waiting for us to get out." Overnight, the fire subsided thanks to the gargatuan effort of local police and fire crews. "The fire and policemen did a fantastic job of handling that fire." The next day, Lukowich pulled up to a check stop outside his neighborhood and engaged a police officer in a conversation. The policemen, who had been working for five hours straight in sweltering 105 degree plus heat, were in desperate need of water and Gatorade. Lukowich contacted the Texas Stars who dipped into their charitable fund to donate a flat of Gatorade to the officers in Brad's neighborhood. "I went down in my jeep and wrecked my shocks by putting a whole flat of Gatorade in the back of my car," said Lukowich, laughing. "It was well worth it. Those guys did an amazing job and we owe a lot to them." With his wife, Cara, the Texas Stars Foundation is continuing to look for ways to help those affected by the fires throughout the season. "I wasn't just those 9 days. There are a lot of families that are still out and looking for help." And for those fresh faces in camp who may not have been here when the fires broke out, Lukowich plans to make sure that they all get involved too. "We owe a lot to the city, and you're not just here as a hockey player," he said. "You become part of the city, and it's something we push for, for these younger guys to get out there and help out." While the Texas Stars technically opened camp yesterday, this morning's open practice was the first on-ice activity for Coach Jeff Pyle's Texas Stars. Attendees at the open practice scoured their rosters to recognize new faces, many of whom are in Cedar Park on a tryout basis. Players not on tryouts included Hubert Labrie, Tristan King, Michael Neal, Stephen Schultz, Ondrej Roman, Nick Layton, Jace Coyle, and Mike Hedden. Captain Brad Lukowich, who received hearty applause from the crowd when he stepped onto the ice, also returned to Austin in time for the first practice. Highlights on the tryout list include Tyler Arnason, Ned Lukacevic, and Matt Tassone. Arnason won the AHL's Rookie of the Year award in 2002 and is a veteran of 487 NHL games with 88 goals and 157 assists for Chicago, Ottawa and Colorado. He spent the last two year in Europe with the KHL, Swiss leagues and SM-liiga. His offensive totals dropped off quite a bit in Europe despite their reputation as a more open offensive style of play. 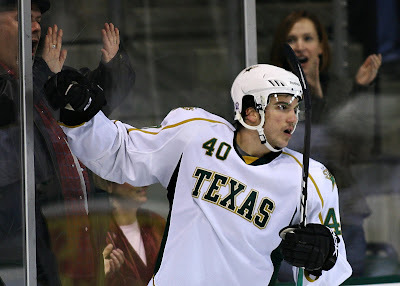 Ned Lukacevic played two games for the Texas Stars in the 2009-10 season and then spent most of last season with the San Antonio Rampage, potting four goals and nine assists in 38 games of work. Finally, Matt Tassone is a Dallas draftee who was never actually signed by Dallas. He went to Traverse City with the Dallas prospects and spent last year with the Steelheads. In 32 games, he had seven goals and three assists. He has a history of injury issues and needs to prove that he is a reliably healthy player for Texas to take a flyer on him. Other players in camp included forwards David Fredericksson, Spencer Edwards, Patrick Galivan, Rob Bordson and Chad Klasson; defensemen Mike Berube, Steve Kaunisto, Steve Olesky, Matt Case, and Andrew Randazzo; and goalie Billy Sauer. For Coach Pyle, it was his first day in the driver's seat. While the system that Texas will play will come from the top and Coach Gulutzan, Pyle will be changing things up a bit and adding his own twist on the systems. "I like what [Coach Gulutzan] does, but [the players] know I'm not Gully and I'm not going to try to be Gully," said Pyle. "I like his systems in the D zone and the middle zone with the swarm and the 1-3-1. When it comes to basic little things here and there, I'm going to do my own thing. When it comes to power play and penalty kill, I'm going to do my own thing." General manager Scott White and captain Brad Lukowich also spoke after the practice and I'll have more from them as we move toward our first game action on Friday. Finally, in case you missed it, Texas announced a new logo yesterday. The jerseys that they will be featured on will be revealed on October 4th. Dallas continued with assignments, cuts and waiving players today as five more were sent down to Texas to begin camp with the AHL squad tomorrow. Defensemen Hubert Labrie, Jace Coyle and captain Brad Lukowich were among those assigned. Brad Lukowich had to pass through waivers based on his veteran status but cleared this morning without a hitch. Forwards Ondrej Roman and Mathieu Tousignant were also assigned. The Dallas Stars cut Stephen Schultz loose from his tryout with the NHL club, but the young forward will spend the season on a standard player contract (SPC) with Texas. In addition to these assignments today, Dallas previously placed seven players on waivers over the weekend. All of those players cleared this morning at 11 AM CST and most are expected to be assigned to Texas sometime in the next few days. Those players include Maxime Fortunus, Eric Godard, Travis Morin, Ray Sawada, Dan Spang, Francis Wathier, and as previously mentioned, Brad Lukowich. The only question mark for me in this list is Eric Godard. He could stay in Dallas with Tomas Vincour being assigned instead to Texas. The thought on that move is that Godard would need to go through waivers to be assigned later in the preseason anyways, so the team would rather have him on waivers early when fewer roster spots are available for other teams to pick him up. Now that he has been through waivers once, he will be exempt from them for the rest of the preseason at least, if not longer. 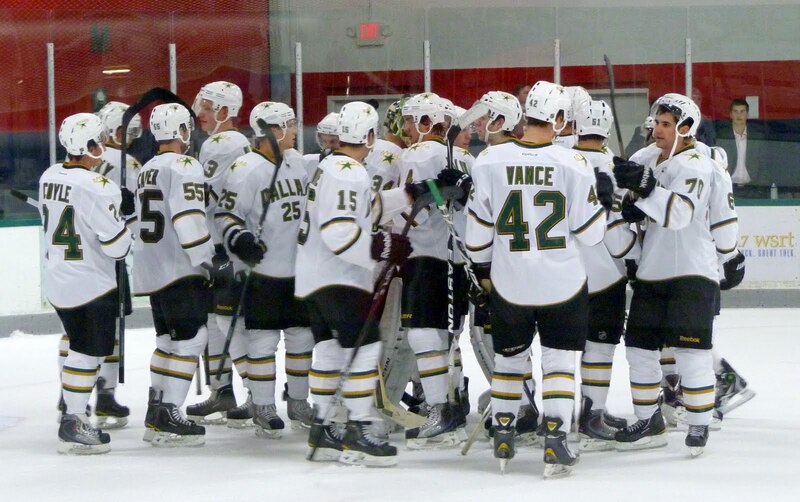 The Texas Stars open training camp today with various off-ice administrative activities. Players will have physicals and get media headshots today with the first on-ice activities happening tomorrow morning. The first practice event will be open to the public this year, starting at 10:00 AM Tuesday. Jeff Pyle and Jeff Truitt will take the ice for the first time as the Stars' new coaches. Training camp rosters have not been released yet, but I'm sure I'll have something tomorrow on the players who are on tryouts and who is actually here. Remember that many of the players who are going to be playing for Texas this year are still in Dallas for their training camp. Players like Brenden Dillon, Scott Glennie, Philip Larsen, Matt Fraser and Richard Bachman are going to stay in Dallas until at least next week. As every year, don't expect to recognize 95% of the names in this weekend's preseason contests. The players there are mostly going to be tryouts. I will be out at open practice tomorrow morning. More information after that. How Does the Dallas Stars Sale Affect Texas? With the big news of the Dallas Stars bankruptcy filing and pending sale to Tom Gaglardi or the highest bidder, the big question in Cedar Park is does this affect the Texas Stars. The short answer is "no". The slightly longer answer is "yes, but only indirectly". Included as assets in the bankruptcy agreement are the following, from Defending Big D: Dallas Stars, L.P. (a limited partnership out of Delaware), Dallas Arena LLC, Dallas Stars U.S. Holdings Comp. and StarCenters LLC. You'll notice that the ownership group for the Texas Stars is not included in this list. According to the Texas Stars, that is because Hicks Cedar Park LLC is a separate corporation from the Dallas Stars, owned by Tom Hicks' sons. Texas is in a 10-year affiliation agreement with the Dallas Stars and a 25-year agreement with the Cedar Park Center. In short, Texas is not going anywhere. 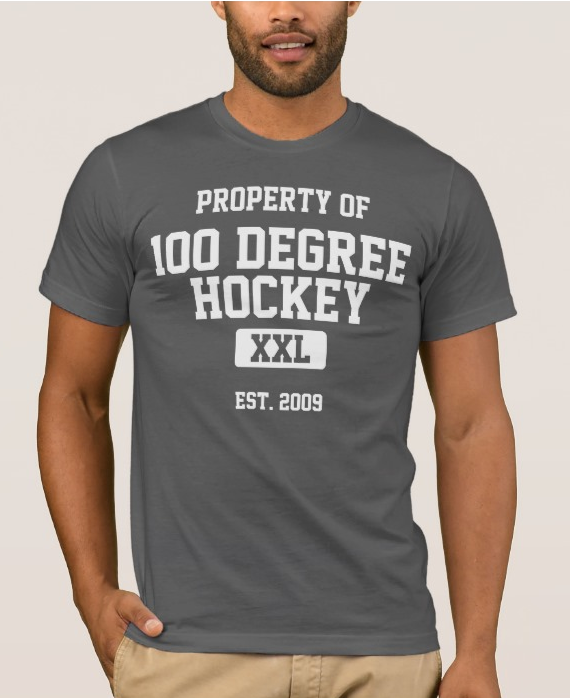 They are going to be the affiliate for the Dallas Stars for the foreseeable future. 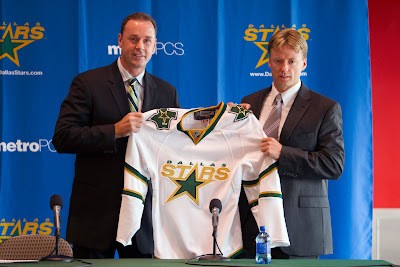 However, in the long answer, of course whatever happens with the Dallas Stars does affect the Texas Stars. If the Dallas Stars have more fluidity to their payroll, then that affects who ends up in Cedar Park. Remember that for two-way deals, Dallas pays the salary of players sent down to the AHL. Quality veteran players on two-way contracts were a large part of why the Texas Stars made it to the Calder Cup in 2009-10. Garrett Stafford, Dan Jancevski, Andrew Hutchinson and Brad Lukowich were all in this bucket. Last year, Texas did not have as many of these quality veterans. Think about other teams' quality veterans. With a better ownership situation would Dallas be more likely to sign a guy like Darren Haydar or Jason Krog to help the team along in Cedar Park? Jason Krog gets paid the same at the AHL and NHL level ($550K) and hasn't played an NHL game in 3 seasons. However, he's been good for 150 points in the last two years for the Chicago Wolves. That certainly wouldn't hurt the team in Cedar Park. In other news, the ice should be going in at the Cedar Park Center next week. Only Travis Morin more days left until regular season hockey resumes in Austin and Jamie Benn (or Stephen Schultz) days until pre-season hockey. Hockey is back in action across the country with prospect tournaments in various cities showcasing the next generation of potential NHL stars. Dallas began the Traverse City tournament this weekend by splitting their two games. Matt Fraser led the charge in Saturday's game with a hat trick en route to an 8-2 victory over the Carolina Hurricanes prospects. The first goal for the team came just 30 seconds into the match, with Dallas scoring four before Carolina even managed a shot on goal. Tyler Beskorowany got the start in net for Dallas and other goals were scored by Matt Tassone, Stephen Schultz, Jamie Oleksiak, Matej Stransky, and Matt Carter. Coach Jeff Pyle told ESPN Dallas: "Matt Fraser gave us a nice goal on the first shift which gave a nice atmosphere and everybody just fed off it. It was a great effort by the guys. We just stood back there and kind of rolled them." Sunday's game, which many of you may have watched on the NHL Network, was against the NY Rangers. The game did not go as swimmingly as Saturday's. Just 21 seconds into the game, New York scored a goal and earned a lead they would not relinquish. 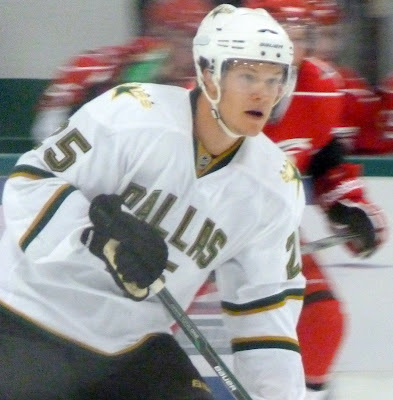 Scott Oke and Matt Fraser scored for Dallas in the loss and Jack Campbell took the loss, allowing six goals on 44 shots. I would not take a lot of stock in just these 120 minutes of hockey, but it is very nice to see players like Fraser making offensive impact. For a long time, the Dallas farm system has lacked flashy scoring with draft picks usually being of the "gritty" forward instead of "star" forward type. Fraser is looking to be a fantastic free agent pick up for Dallas and has already started to build chemistry with his future teammate Scott Glennie on a line together in Traverse City. The Stars take the ice again at 2:00 PM today against St. Louis. The prospects of the Dallas Stars organization, including many current and future Texas Stars, take the ice starting tomorrow in the Traverse City Prospects tournament. One of the games will be televised on NHL Network, Sunday's matchup against the Rangers at 5:00 PM Central. Otherwise, you will have to stay on Twitter to keep up with live scoring. Obviously we can't ignore the tragedy of the KHL plane crash. I feel like many other people have done a much better job with it, however, so I'll just link to a few relevant articles. This post in Danish is an interview with Philip Larsen about Karlis Skrastins and this image shows Ivan Vishnevskiy's team, Atlant, reacting on the bench to news of the crash, which arrived in the middle of a game. There is a trickle of hockey news coming along at this point, so I've finally got enough to justify a post. Let's take a look at what's going on out there. Still left unsigned from last year's club are Brent Krahn and Scott McCulloch. Injury issues plagued them both in their time in Texas. My prediction is that Krahn hangs up the skates this season and moves to the press box for a junior/minor team. Given McCulloch's age, I don't know that he will completely call it a career, but there has been no indication yet of his pending signing at any level. As we've previously discussed, the Dallas system is currently without a 5th goalie. This would be a problem if any one of their current tenders went down with an injury. The Goalie Guild indicated that Jimmy Spratt, signed to Idaho currently, could be a possibility.